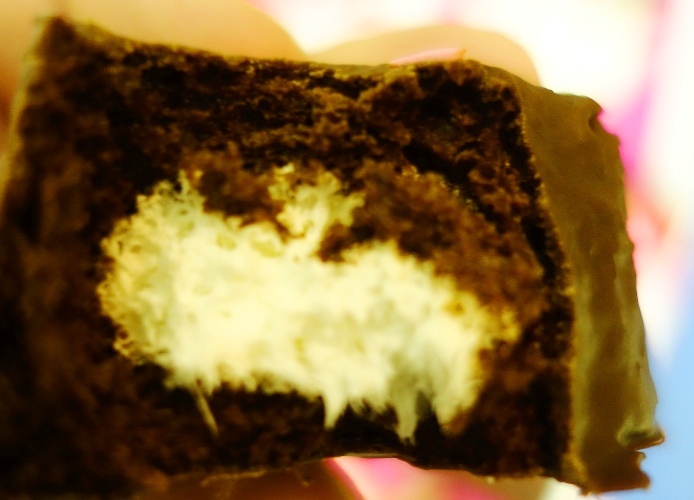 Tonight I will share another limited edition Hostess snack cake with you. 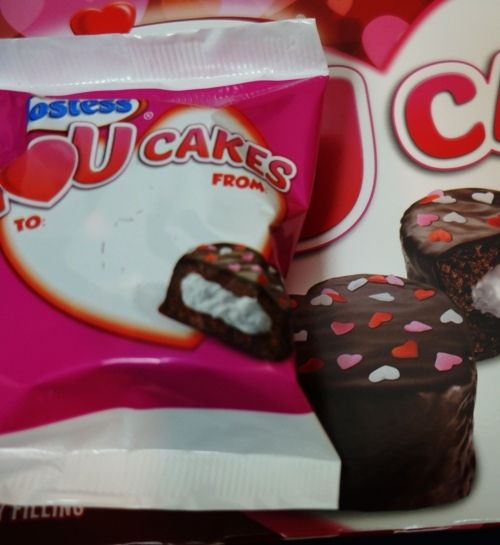 Of course we all know that Valentine’s Day is just a little over a week away and of course Hostess has a cake for you to give to your special someone. 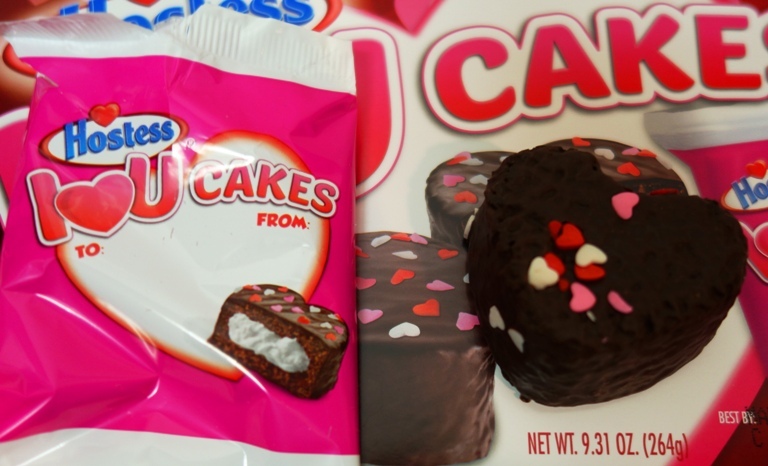 Here is the box of I ♥ U Cakes from Hostess. The little cakes are heart shaped and covered with chocolate. Plus they have a creamy filling and have heart shaped sprinkles. Instead of clear wrappings these cakes come in a special wrapper. You can see here that the wrapper has a place for you to write who the cake is from and who it is being given to. However, you have to supply your own pen and it better be one that doesn’t need much pressure to write with. A sharpie would probably work best. Hmm, who would I give an I ♥ U Cake to? Of course you need to see what it looks like inside and I had to have a taste to see if they were delicious. This was a nice bite with a lot of chocolate taste. Also a good ratio of creme filling to cake. The cake is not as big as others, but this is good since it has the chocolate shell. It doesn’t have time to melt before you eat it in two or three bites. I like this cake better than the Dark Chocolate Raspberry CupCakes, but maybe not as much as another Valentine’s Day cake that I will share next week. Who would you give an I ♥ U Cake to? This entry was posted in Food and tagged cake, Chocolate, hostess, I Love You, Snack Cakes, Valentines. Bookmark the permalink.